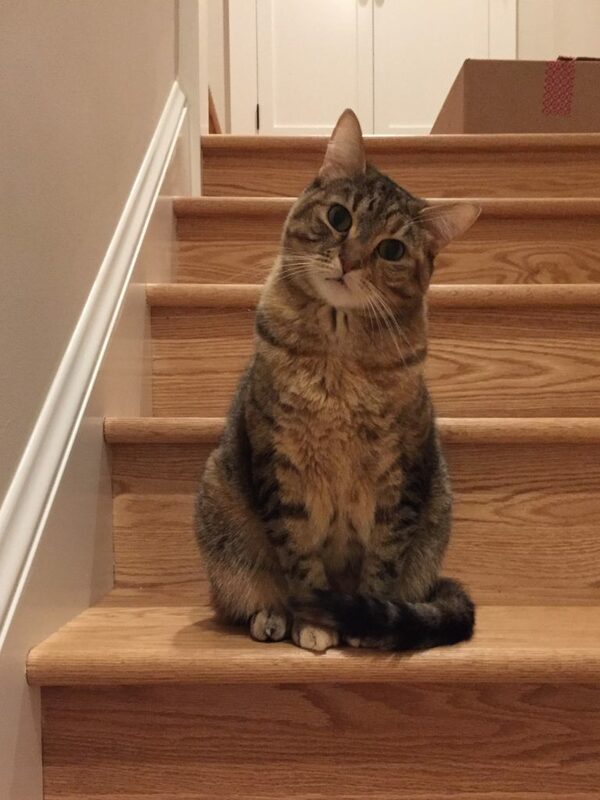 Niko is a tabby with a big personality. 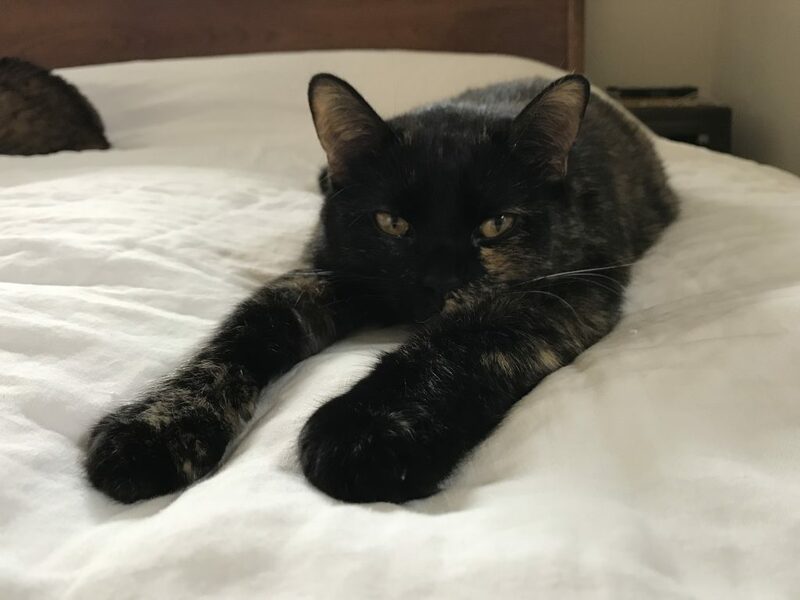 She absolutely loves attention – she will greet you at the door every time you come home, greet you when you wake up in the morning, and follow you around from room to room to be where the action is. She loves to cuddle, sit on laps, be pet, get held, and purrs like crazy. She’s also very curious, loves chasing string toys, and is pretty bold for a cat! Quinn is a very sweet calico/tortoiseshell. She also loves attention, but she’s a bit more timid than Niko. She won’t always greet you at the door, but she’ll patiently wait for you to come say hello and will quickly start purring. She’s a big fan of lounging around in her favorite spots and prefers to sleep right next to you at night and sit in your lap during meals. She would do best in a quite, patient (likely adult only or older children) home as she opens up to new people. Both cats are just about four years old. 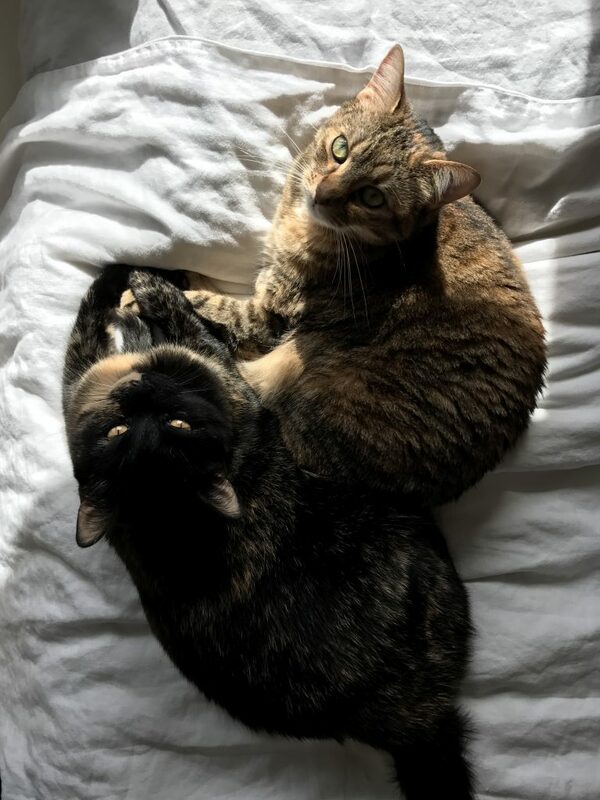 They aren’t sisters, but they were adopted at the same time and are bonded with each other. They’re both well behaved – they know what their scratch post is and they keep their scratching to it! They’ve been indoor only cats and would do best continuing to live indoors. They come to you neutered, vaccinated, and in good health! I’m joining the Peace Corps and very sadly have to find these beautiful cats a new home. If these two sound like the ultimate duo for you, let me know and we can meet up! Feel free to send me an email or give me a call/text, kvogel33@gmail.com, 785-218-5257.